Review: Rode April 3, 2017 and really enjoyed this trail. Suggested by locals and the bike shop, I started off in search of these trails to learn that there are multiple loops. I only rode 2. Good use of the area and great flow. Like the description, roots, rocks, and I really enjoyed the narrow edges out the outside of the island where you had a drop a few feet or so to the water. These parts were not only narrow, however were windy and had changes in elevation around trees, roots, and rocks. Made for neat passes. Great scenery and a nice ride. Only things is, there are some downed trees, however you can tell work is in progress. Check it out if you're in the area. 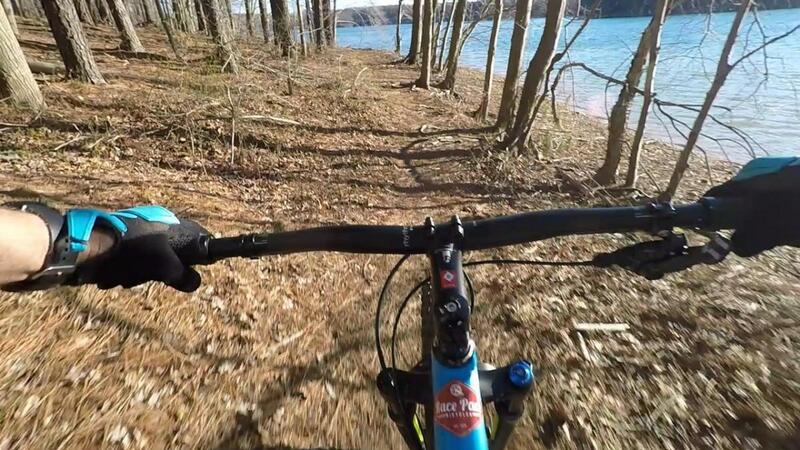 Liberty Reservior Trails MTB Trail 4.00 out of 5 based on 1 ratings. 1 user reviews.